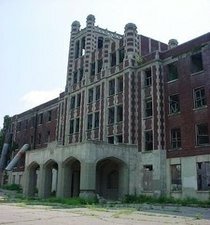 The Waverly Hills Sanatorium hauntings have been the subject of conversation among paranormal investigators for quite some time. In the initial opening of the sanatorium, the building was a simple two story structure composed of wood. This occurred in the year of 1910. By the year 1926 rolled around, the structure had transformed into the building that remains standing today, composed of various concrete formations and large bricks. In the early part of the 20th century, tuberculosis was a fairly common illness. The Waverly Hills Sanatorium was originally a hospital that worked to treat patients with this condition. It seems that several souls of the patients, nurses, and other individuals that worked in the hospital remain today as spirits. Throughout the history of the Waverly Hills Sanatorium, records indicate that approximately sixty three thousand individuals died within the structure. While alive, it is rumored that many of the people that passed away were subjected to severe degrees of mistreatment, unethical medical experiments, and even punishments for which they were not deserving of. Based on the emotionally charged situations that occurred at the sanatorium, it is believed that the structure has a large number of residual hauntings as well as intelligent hauntings. Residual based hauntings are like a recording of events that took place at a specific time in history and typically do not interact with the living. Intelligent hauntings are true spirits and are believed to have the capacity to interact with the living. When a large amount of deaths started occurring at this structure, the individuals that worked there elected to construct a tunnel that was typically used to store supplies into a chute where bodies could be placed until they were picked up for burial services. This was done to avoid causing havoc among the living patients of the hospital. In the 1960s, there was no longer a need for a hospital that simply focused on individuals with tuberculosis. Shortly after closing, it was sanitized and then converted into a residential nursing home for patients that suffered from disabilities and the elderly. Within two decades, the nursing home had several allegations that posed the fact that the patients were being severely abused. The nursing home closed and at the mark of the Millennium, the Waverly Hills Sanatorium was purchased by a couple whose names were Tina Mattingly and Charlie Mattingly. This occurred in the year 2000. The goal is to renovate until the structure is capable of acting as a hotel for travelers and tourists in the Kentucky area. The renovations have sparked an interest among locals, past and current employees and workers because it seems that there is more to the building than meets the eye. Many paranormal investigations have been performed at the Waverly Hills and nearly all of the evidence points to the fact that the building is, indeed, haunted. In today's world of paranormal investigations and haunted places, the Waverly Hills Sanatorium has been deemed one of the "Most Haunted Places in the World". It received a lot of attention when the TAPS Ghost Hunters television show investigated it live on Halloween in the year of 2007. Waverly Hills Sanatorium has also been on television many other times. In July of the year 2001, it was on "ABC Family's Scariest Places on Earth". Ghost Hunters also taped a show in March of 2006. This structure remains to be one of the greatest unsolved mysteries to date when it comes to the actual events that took place behind closed doors, and the message that the ghosts seem to want to pass to the living. Get the directions, view photos, and read the reviews and traveler tips for the Waverly Hills Sanatorium.